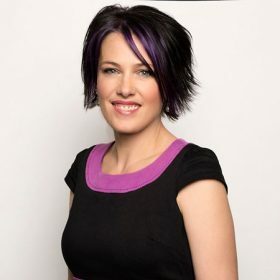 We’ve all had one, and in this guest post, founder of HR Consultancy Ryan Gately, Karen Gately (pictured below), offers her tips on how to handle underperforming staffers. Gately is also author of The People Manager’s Toolkit: A Practical guide to getting the best from people (Wiley) and The Corporate Dojo: Driving extraordinary results through spirited people…. Are you frustrated by the undermining impact of poor performers on the spirit and success of your team? If so, you’re far from alone. Many of the leaders we work with complain about the constant need to spend valuable time and energy dealing with unreliable employees and ineffective teams. Research by the Centre for Creative Leadership, spanning China/Hong Kong, Egypt, India, Singapore, Spain, the U.K., and the U.S, identified 6 common challenges middle and senior managers face, and fiveof them relate to leading people. Inspiring others, developing employees, leading a team, guiding change and managing internal stakeholders and politics, were all consistently reported. Whether faced with an underperforming individual or a team who are failing to achieve, among the most important steps you can take include these. Assume the role of coach. Commit to doing your part to help people to improve. Invest the time needed to coach people to deliver, learn and improve every day. There’s no short cut to success so forge the time needed to provide your team with the strength of leadership they need. Leave no room for doubt. Set very clear expectations about the standards of performance you expect. Focus not only on what people are expected to achieve but also how they are expected to go about. Building the culture most likely to enable your whole team to thrive, demands equal focus on results and behaviours. Face reality and act early. All too often leaders overlook early signs of underperformance. Recognise when people are getting off track or failing to deliver on reasonable expectations and choose to act. While it’s important to see the good in people, make objective assessments about progress early into someone’s time in a role. Engage in honest conversations. It’s common to observe managers avoiding difficult conversations about poor performance. Gallup research found 69 per cent of managers feel uncomfortable communicating with employees in general, let alone raising issues of serious concern. However, left unaddressed performance issues typically get worse. As soon as you become concerned about someone’s performance, let him or her know. Explain why you hold the concerns that you do and offer support to help them to improve. Understand the problem. To support anyone to improve first you need to understand what’s holding them back. Begin by reflecting on the extent to which they have the capabilities required to deliver. That is, do they have the essential knowledge, skills and experience needed to meet the standards of performance expected? Or is the real problem for example the way they choose to behave? Act with strength and compassion. Engage with respect and sensitivity while at the same time ensuring honest insight is shared about what needs to improve. When delivered well, the truth is a powerful gift of opportunity we give someone to understand their reality and do something about it. Leverage strengths. While of course it matters to address skill gaps or ineffective behaviours, aligning people to their strengths can also have a big impact on improving performance. In a study of almost 50,000 teams in 45 countries, Gallup researchers discovered that those that received ‘strengths interventions’ increased sales by 10 per cent to 19 per cent and profits by 14 per cent to 29 per cent, compared with control groups. Make tough decisions. Building a culture of accountability and high performance requires that you make necessary decisions when people fail to step up. If after providing fair opportunity to understand your expectations and reasonable support to improve, someone continues to underperform, it’s time to let them go. As difficult a decision it can be to make, success of the rest of your team and ultimately business depends on it. Of course, prevention is always better than cure. Place priority on recruiting the right people into your team and then take deliberate steps to create the environment and provide the support needed for them to be at their best. As the Gallop Global Workplace report points out “Businesses that orient performance management systems around basic human needs for psychological engagement, such as positive workplace relationships, frequent recognition, ongoing performance conversations and opportunities for personal development, get the most out of their employees.